Satire from The Onion: In which Facebook is praised for slashing the CIA's expenditure by making it easier to monitor all of the Earth's peoples. Twitter evidently was less successful and should be closed down as "after 400 billion tweets not one bit of useful info was found"! FarmVille, is credited by the Agency with "pacifying as many as 85 million people after unemployment rates rose dramatically." Going to bed with a good book has always been one of the great soporific delights in life; a way to switch off of from the troubles of the day and relax before sleep. It is therefore not a great surprise to discover that a significant number of online device owners induce their slumber in a similar fashion. 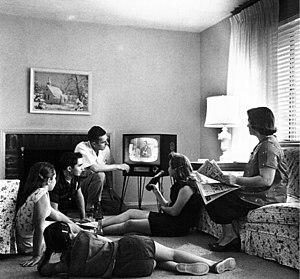 The amount of time spent in such activity in front of the TV or from bed is also revealing. 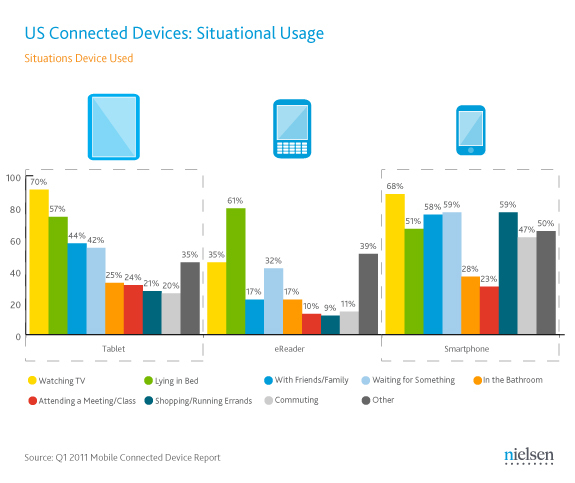 Tablet owners spent more time with their device was while watching TV (30%) than when they were lying in bed(21%). Smartphone owners used their device while watching TV 20% of the time, but when lying in bed it occupied 11% of their time. eReader owners spent the least time using their devices while watching TV (15%) but put their reader to good use while in bed (37% of their time). 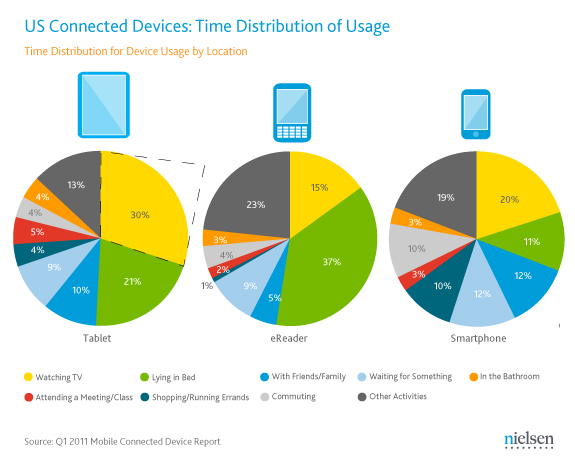 From the charts below it would also appear that only a small percentage let their attention span wander during class or meetings by using their devices. I remain somewhat skeptical of this finding, having seen tertiary classes in action in Asia and the online networking of students during a lecture. It is however somewhat reassuring from the point of personal hygiene that few use their devices in the bathroom!